I’m in white chocolate heaven. 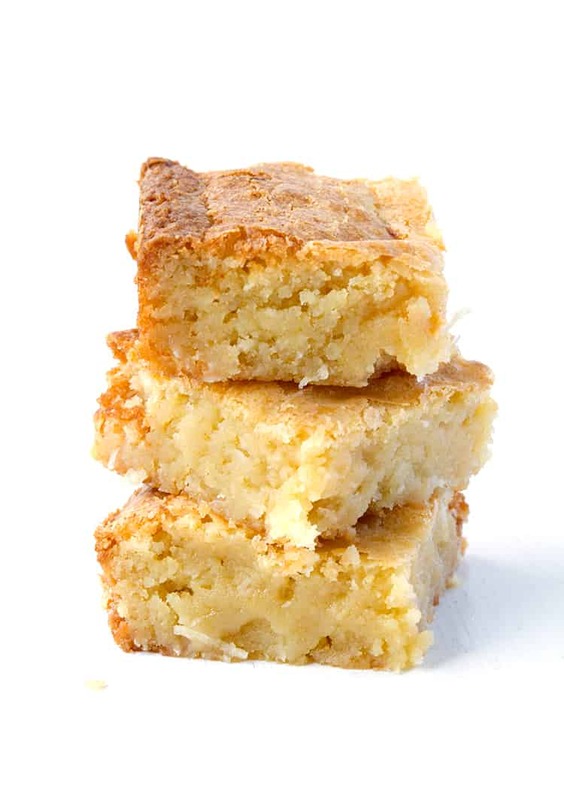 White Chocolate Coconut Brownie heaven. I cannot believe I haven’t been eating these all my life. 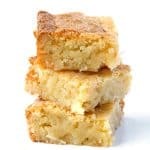 White Chocolate Brownies, WHERE HAVE YOU BEEN? Made with sweet white chocolate and flecks of chewy shredded coconut, these brownies are absolutely packed with flavour. Oh and did I mention they are one bowl brownies? Yup things just got real. 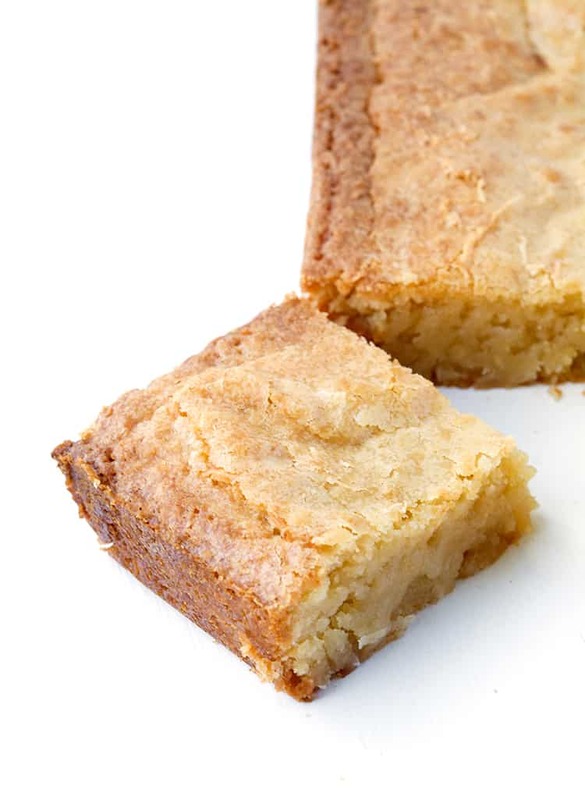 Seriously fudgy with chewy edges, a crinkly top and an irresistibly gooey centre, these White Chocolate Brownies are my new favourite dessert. But to be honest, the addition of coconut takes them from good to reaaaally good. 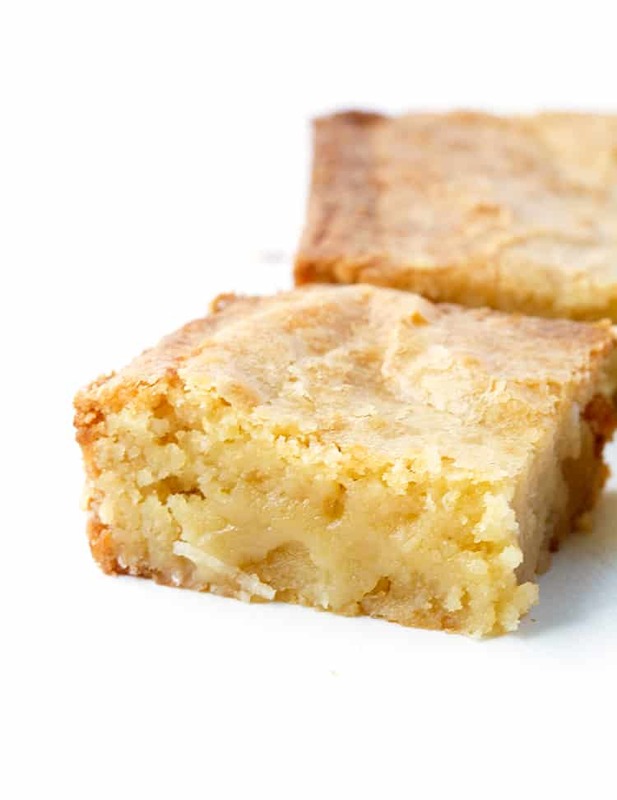 So how does this White Chocolate Brownie thing work? Well I’m glad you asked! It is very similar to a regular brownie recipe with just a few small adjustments. A bit more butter for flavour, a little more flour for stability, less egg to reduce the moisture, and the perfect blend of both caster and brown sugar. And what do you end up with? The ultimate White Chocolate Brownie. Throw in some shredded coconut and bake until golden brown. 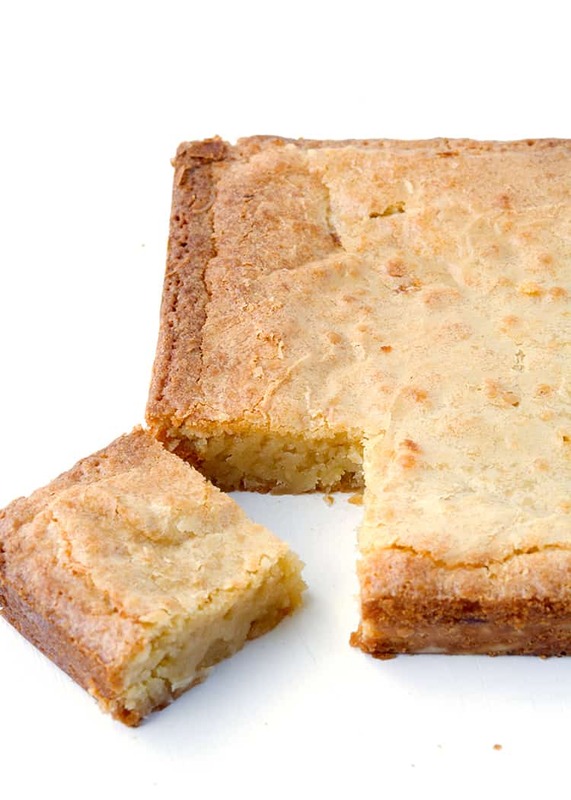 Leave to cool and then cut into squares to serve. 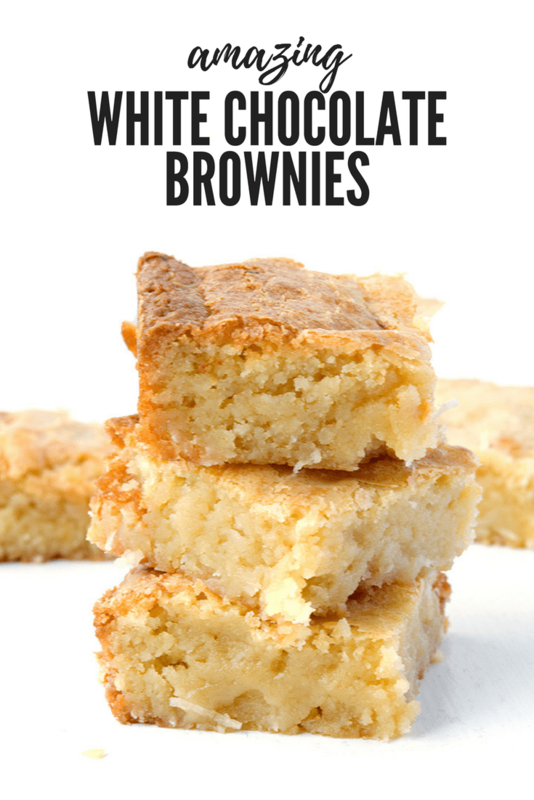 Even though I definitely have a thing for chocolate brownies (as proven by THESE, THESE and THESE), I just know I will be making these White Chocolate Brownies over and over. After all, I have to make up for lost time! So just in case you are still sitting on the fence, let’s go over this one more time. 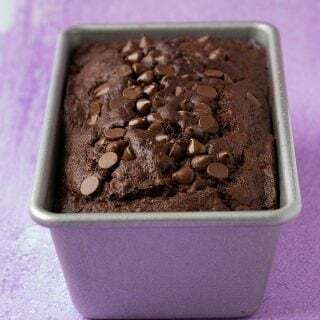 These brownies are deliciously fudgy AND chewy, they can be made using just one bowl (yes to less washing up), you don’t even need an electric mixer AND you probably have all the ingredients sitting in your pantry RIGHT NOW. I think you and I need to get baking! 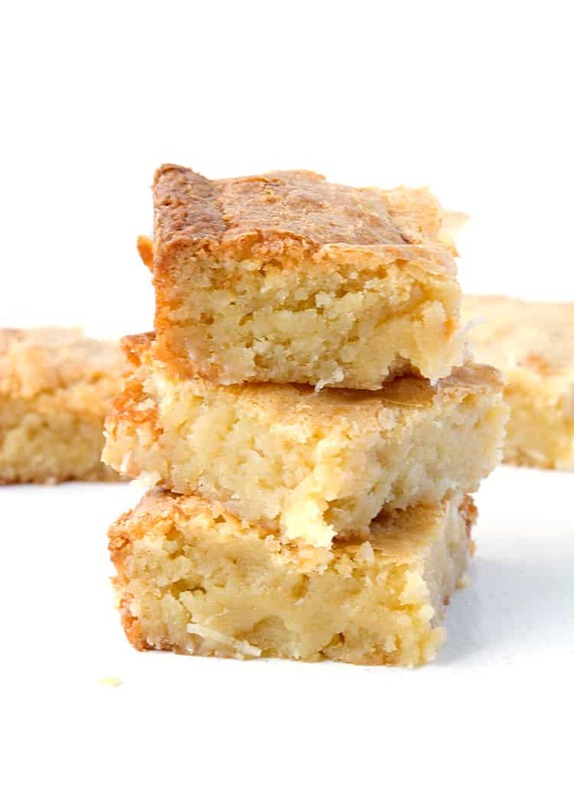 Made with sweet white chocolate and flecks of chewy shredded coconut, these White Chocolate Coconut Brownies are absolutely packed with flavour. Grease and line a square 8 inch cake tin with baking or parchment paper, ensuring two sides of the paper overhang. Preheat the oven to 160 C (320 F). In a large bowl, add the white chocolate and butter and pop in the microwave, stirring every 20 seconds, until completely melted. Next, add the sugars and vanilla and stir until combined. Add the eggs, one at a time and mix again. Then add the flour, coconut and salt and mix until smooth. Pour brownie batter into prepared pan and smooth the top. Bake the brownie for about 30-35 minutes or until cooked through. Insert a skewer into the middle to see if comes out clean, or remove once the edges of the brownies are golden brown. Leave to cool completely before serving. I made these today and they are delicious! Mine took longer to cook (around 40 minutes) and I added coconut on the top before baking as well. Yummy! I have tried most of ur recipes.. and all were great..
Oh thank you Thao! So pleased you enjoyed these! They really are morish 😂 Thanks for the lovely feedback. 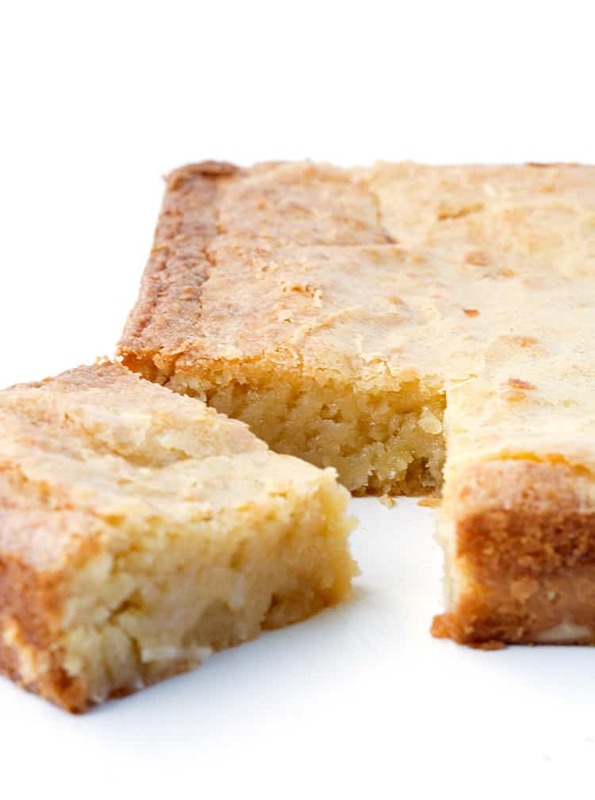 Could i use coconut flour instead of coconut flakes? My LO is very fussy about texture? Hi Nadia, thanks for your comment. Unfortunately this recipe has not been tested with coconut flour. I wouldn’t recommend swapping the flakes for flour as this will change the ratio of flour in the brownie and give you a different result. Sorry! Hi Jessica, just curios, could I change the coconut with shredded cheddar cheese? Will it works flavor-wise? And do I need to change composition of other ingredients? Hi Yuwana, no I don’t recommend using cheese in this brownie recipe. I hope you enjoy them! Even better than the chocolate version! I gave these a try and the texture was everything you promised-the perfect brownie! I did find them exceptionally sweet though and had to have very tiny portions. In your expert opinion would I achieve the same consistency if I only use half a cup of sugar? 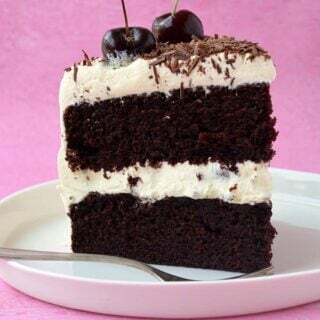 Again, I find myself drooling over a dessert before I’ve even thought about breakfast. Maybe that’s a sign that these should be breakfast? Hehe. 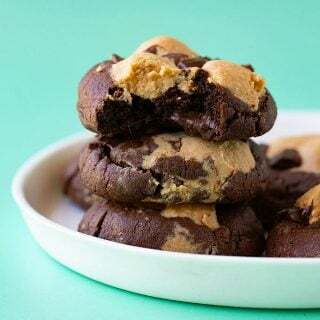 Ooohhhh, these look heavenly! White chocolate and coconut is such a winning combination! Thanks Kristy, I couldn’t agree more!